Cognitive development begins at a young age for a puppy just as is does with people. 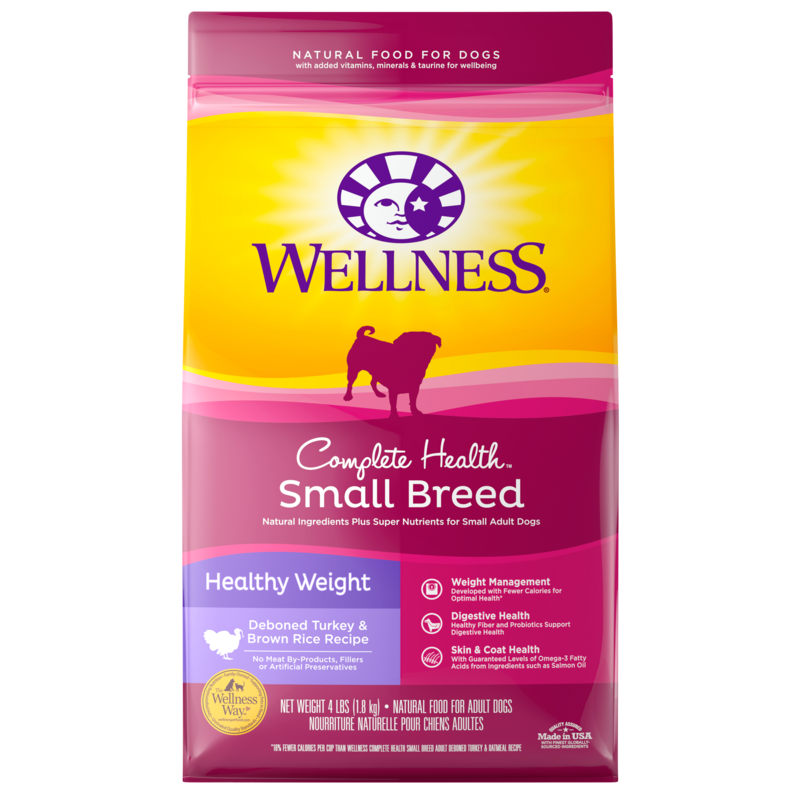 Puppies have nutritional requirements that cannot be met with adult food, which is why we feed specifically formulated food to our young companions. The treats we give our young companions should be no different. 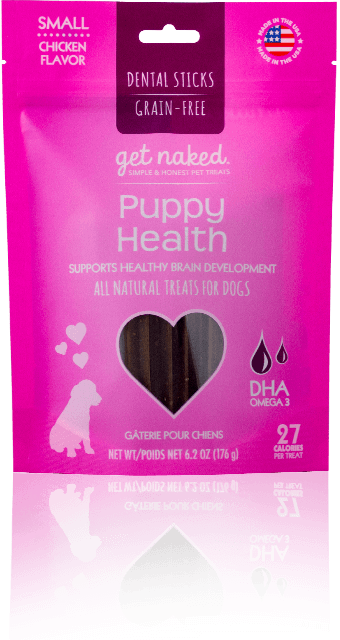 Get Naked Puppy Health Dental Chew Sticks contains docosahexaenoic acid, or DHA, is an omega 3 fatty acid found in mother’s milk, which is essential for cognitive development. Available in two different sizes for either large or small dogs. The “puppy” stage is a fun and exciting time in your dog’s life. 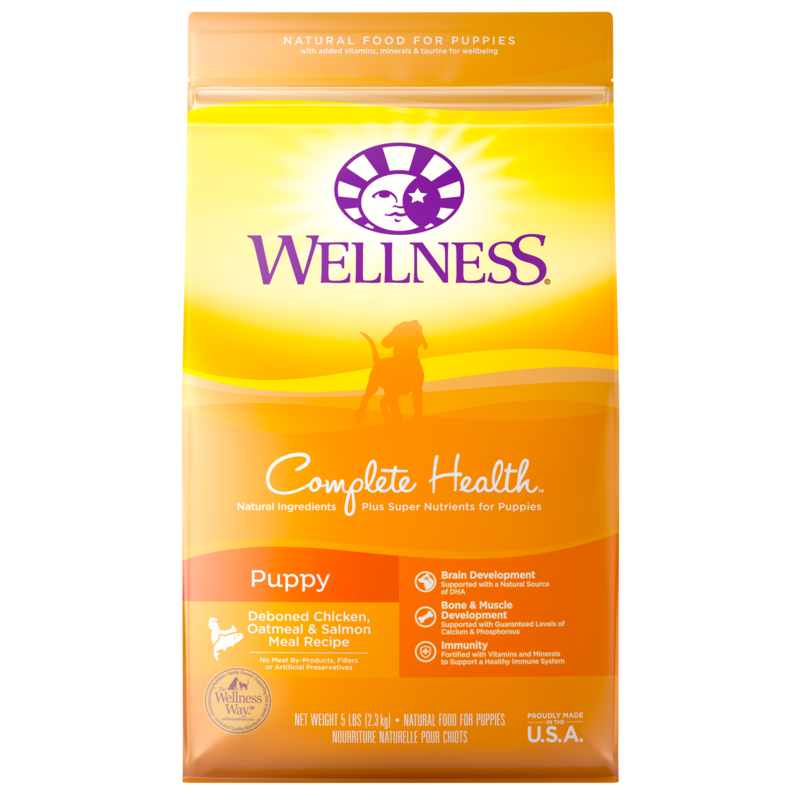 Get Naked® Puppy Health Dental Chews are made with wholesome ingredients specifically formulated for your puppy’s unique needs. DHA Omega 3 fatty acids help promote healthy cognitive development, while the chewing process helps alleviate pain and soreness associated with teething. 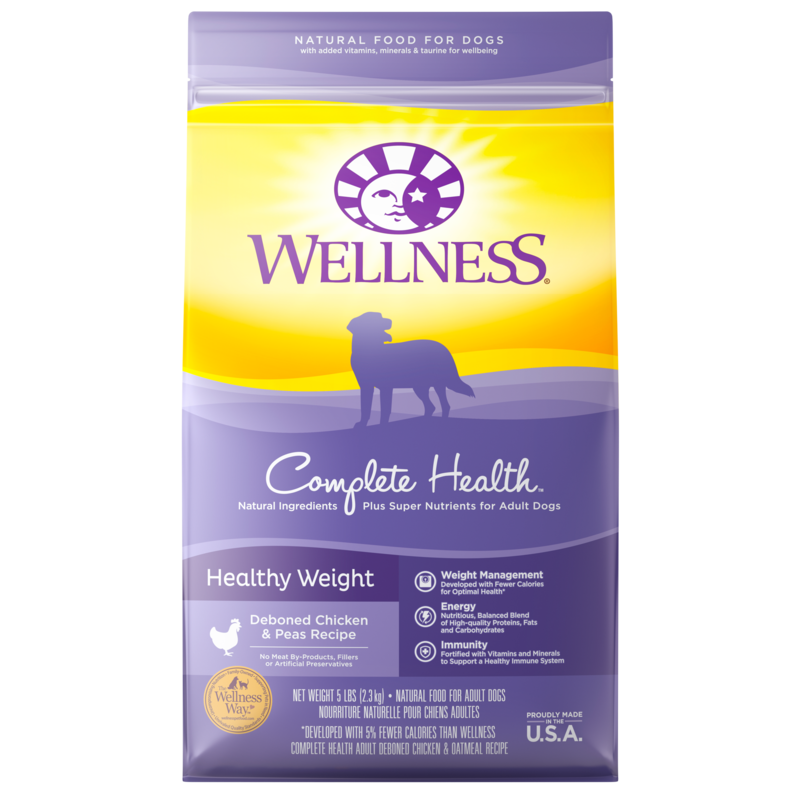 Our yummy chicken dental chews will captivate your pup while helping promote proper development. 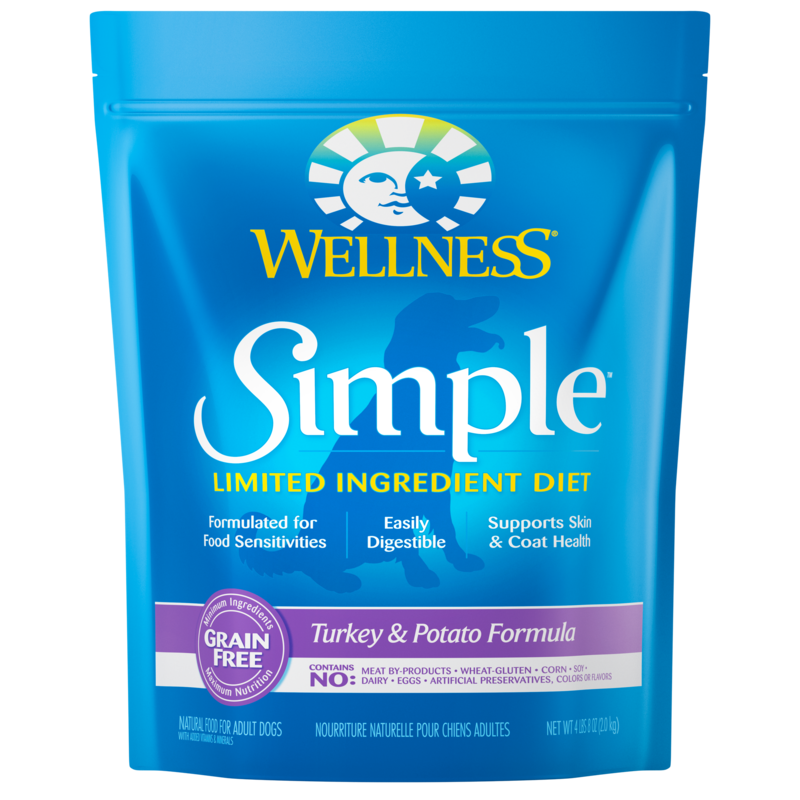 Dried potatoes, vegetable glycerin, gelatin, water, chicken, natural chicken flavor, algae meal, carrots, organic flaxseed, alfalfa, cranberries, calcium carbonate, cinnamon, parsley, chia seed, agar-agar, peppermint.